Your Very Own Private Vacation Paradise! 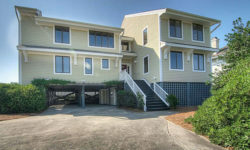 Figure Eight Island is the East Coast's best kept secret. This private, ultra-exclusive oceanfront resort community is the vacation destination for Al Gore's family, as well as many Hollywood celebrities. Only by a personal visit are you able to see and feel the full beauty, tranquility, and care-free atmosphere of Figure Eight Island. The causeway entrance is protected by a 24 hour security guarded bridge, assuring privacy for the island's owners and guests. Located just 8 miles north of North Carolina's Historic Port City of Wilmington, offering fine dining, golf, shopping, museums, carriage rides and many gardens to tour. The island inhabitants are only a short distance from the Wilmington Airport which offers direct jet service from Atlanta, Charlotte and Raleigh—making Figure Eight Island one of the most accessible private oceanfront resort communities on the southeastern coast. So Much To Do. So Close By! Across form Downtown Wilmington is the WWII Battleship North Carolina offering daily tours. History and patriotism comes alive for kids of all ages. Open daily. It's just a short drive to downtown Wilmington, with its charming and historic Riverfront District, boasting fine restaurants, nightlife and shopping. If you beach visit also includes a round or two of golf, Porters Next is just a tee shot from Figure Eight Island. Literally across the road is Eagle Point Golf Course, recent host to the 2017 Wells Fargo Golf Championship. 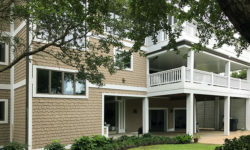 We represent eleven beautiful and comfortable homes on Figure Eight Island in locations with ocean views and sound views. 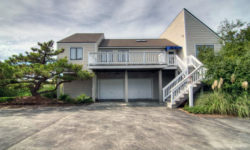 All have easy beach access.